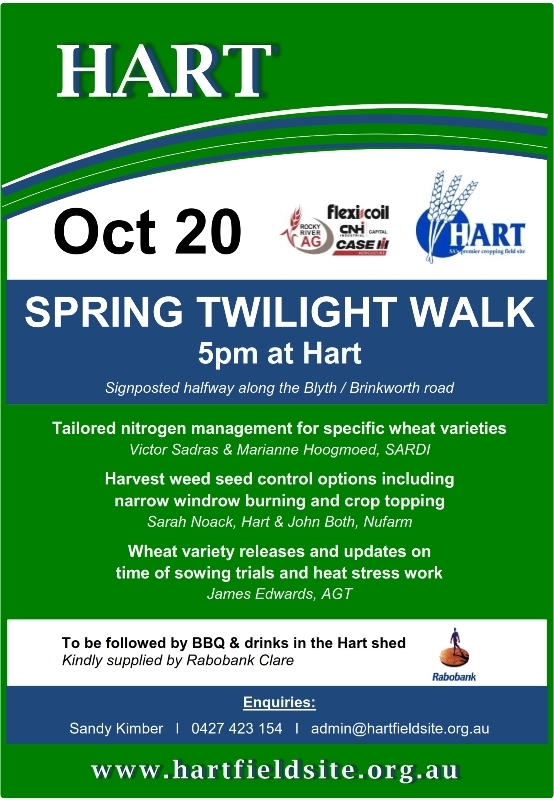 The Hart Spring Twilight Walk is another informal opportunity to inspect the trial site, this time just prior to harvest, with guest speakers presenting their observations on current trials. 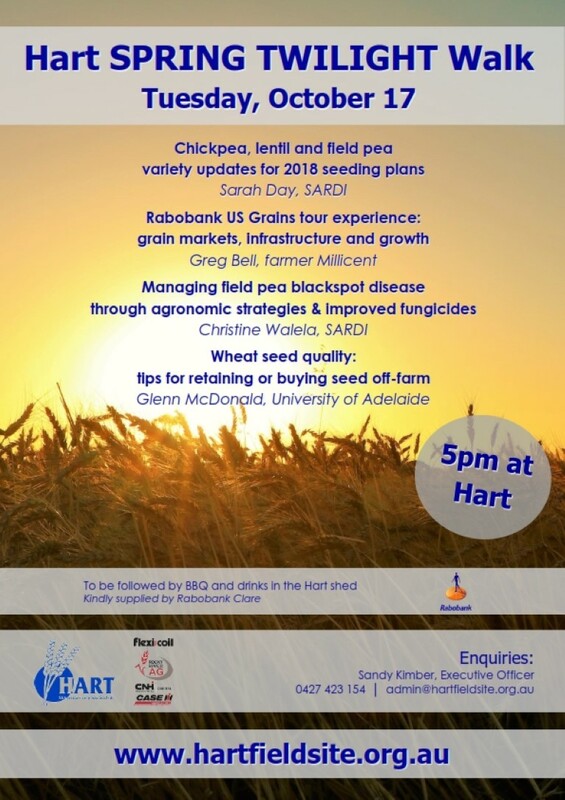 They are on hand to answer your questions, and will also share their knowledge on all the latest cropping systems and agronomic updates. 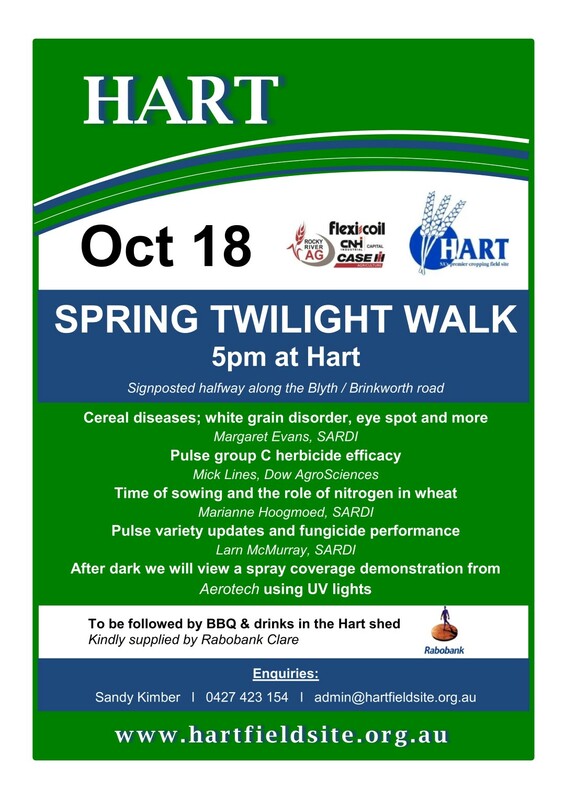 The Spring Twilight Walk is followed by drinks and a BBQ in the shed. 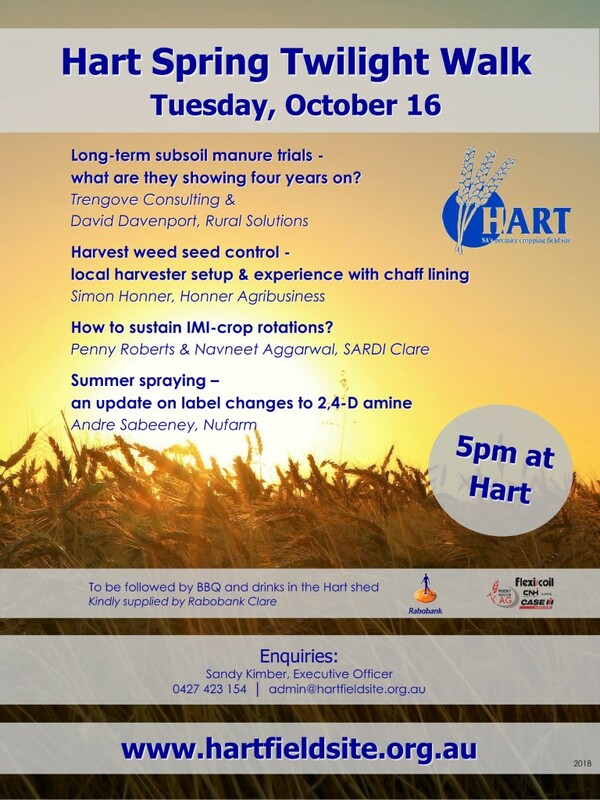 A great opportunity to chat more about how your season is unfolding, and to catch up with other farmers in our district and beyond. No RSVP's are required for this event but if you are bringing a group we'd appreciate the heads up for catering. 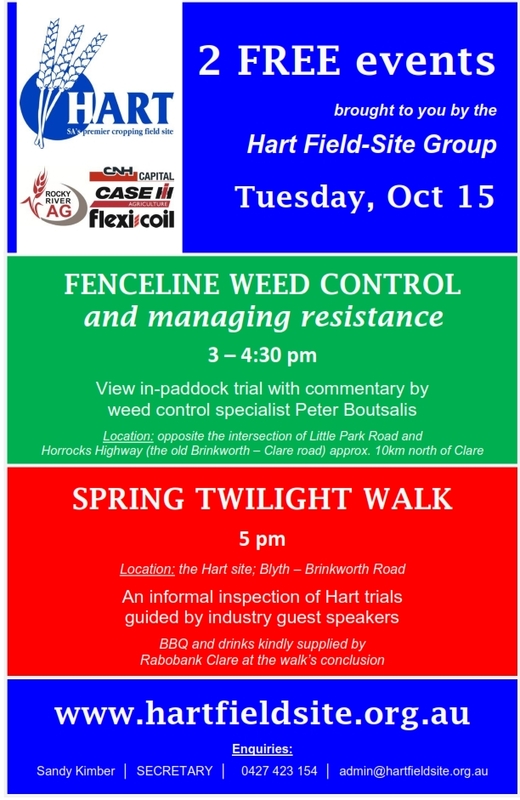 Thursday, 21st October, 5pm start, at the Hart site. What was on offer in 2009?